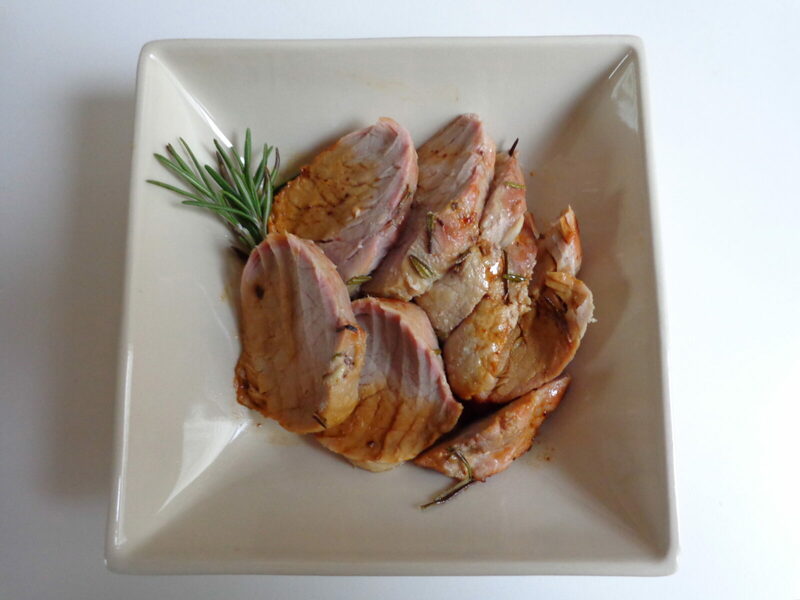 This recipe calls for fillet of pork — a tender cut that is generally no more than 3-4 inches (8-10 cm) in diameter and thus roasts quickly. If you cannot find fillet, substitute a different cut of pork and adjust the roasting time accordingly. Preheat the oven to gas mark 7 (425 F, 220 C). Oil a roasting pan. Cut the garlic in half lengthwise, then slice each half lengthwise into slivers. With a sharp knife make incisions in the pork and insert a sliver of garlic into each. For a 1-pound fillet, there should be room for about six incisions. 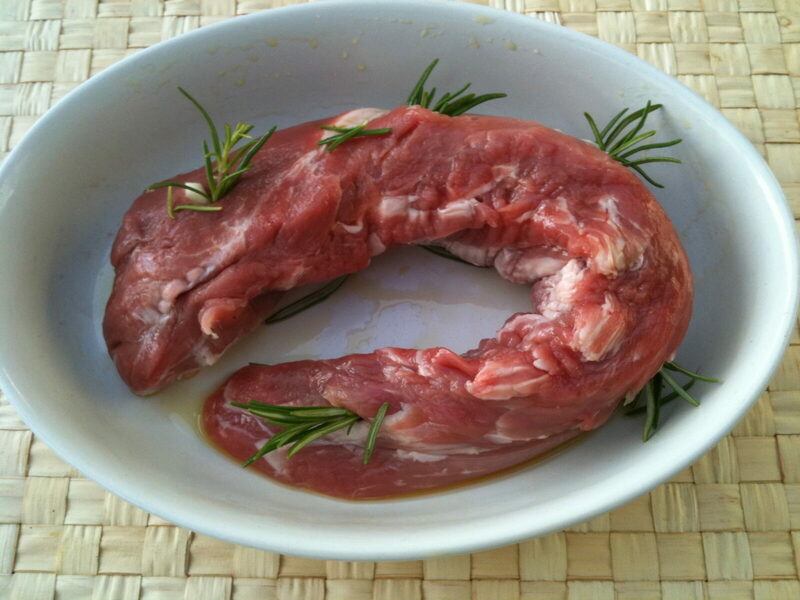 Cut the rosemary branch into smaller pieces and insert them into the incisions with the garlic, as shown in photo. Coat the fillet with a thin film of olive oil – this will keep the juices in, allowing the surface to brown crisply while the center stays tender. Do not salt the meat now. Place the pork in the oiled roasting pan. Roast at high heat for 30 minutes. 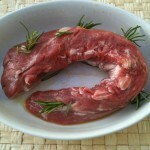 Remove from oven and test for doneness by inserting a fork into the center of the roast. If the juices run clear, the roast is done. If the juices run pink, return to the oven for 5 minutes. Allow to rest for a moment before carving. Season with salt and pepper. Serve accompanied with seasonal vegetables and a sturdy red wine. Serves 3-4.